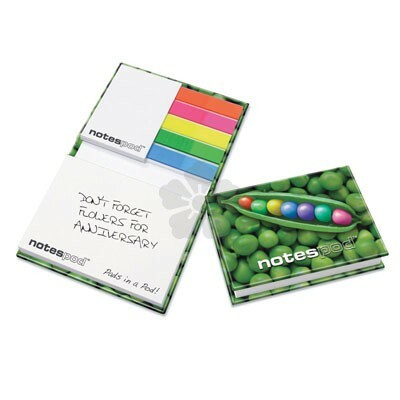 Stay organised with our custom printed hardback Notespod. 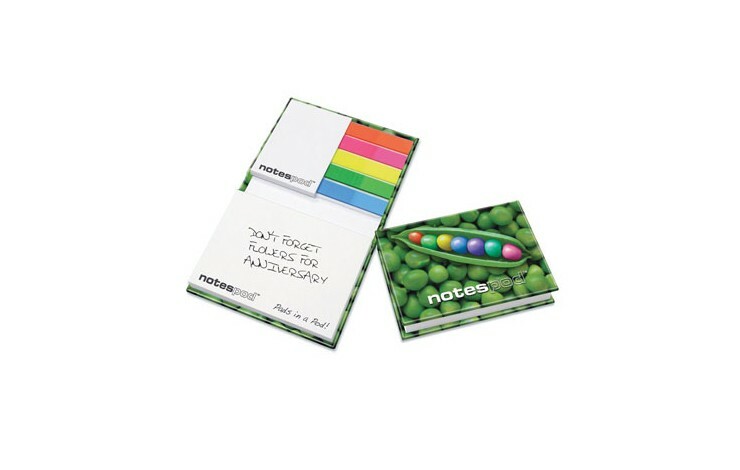 Containing five 25 sheet plain index tabs, one A8 25 sheet sticky note pad and one A7 100 sheet sticky note pad this is handy for any desk. Supplied individually shrink-wrapped. Brand to the sticky notes POA.